The BPO sector in India is one of the most significant growth areas for India's booming economy. In the last few years alone, the Indian BPO industry has grown by 14% and has generated total revenue amounting to over 14.1 billion USD. This number is only expected to triple in the years to come. India also holds a huge chunk of the international BPO market. The rising un-employability of the BPO workforce is yet another challenge that Indian BPOs have to overcome. India does have a million graduates passing out year after year. But this is not enough and one must question as to how many of these graduates actually qualify for employment. There was a time when India was the primary destination for BPO services for most global businesses. However, this has changed with new entrants such as Philippines, Malaysia, Canada, and China vying for a piece of the outsourcing pie. The BPO industry in India has been facing strong opposition from UK labor unions and US politicians who feel that BPO operations should not be shifted to Indian companies. BPO Outsourcing and keeping jobs within the country have now become hot topics during the 2015 presidential campaign in the United States. India is currently facing challenges in finding the right skilled professionals for filling BPO vacancies. Recent statistics taken in 2014 revealed that out of all the Indian students graduating every year, only a meager 25% of technical graduates and 10 to 15% of non-technical graduates were suitable and ready to work in the BPO industry. Indian BPOs have to make drastic improvements in their workforce by emphasizing the importance of foreign languages. Operational procedures also need to be more streamlined. Attrition results not only in the loss of talent, but also means significant costs have to be incurred in the training of new employees. In the Indian BPO industry, the attrition rate has been around 35%. While a UK call center employee stays in a BPO company for a minimum of three years, an Indian call center employee works in a BPO center for only 11 months. A variety of factors have combined together to make the attrition rates escalate in India, including high-stress levels, the monotonous nature of the job, lack of career growth potential, change in lifestyle, etc. Recent research has estimated that the Indian BPO industry will soon witness a robust growth from $1.6 billion to $14.7 billion in the coming decade. By the year of 2020, the Indian outsourcing industry which consists of IT and BPO is expected to reach a whopping $225 billion. The emergence of disruptive new technologies, adapting business models, and an increase in technology related investments by the government in the coming years should help India retain its position as a trustworthy innovation hub. 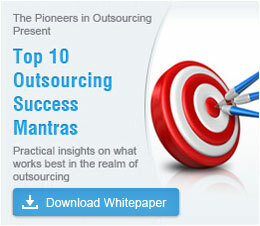 The BPO sector was able to achieve the first USD 100 billion landmark on the back of cost and quality advantages. At the same time, it is imperative for the industry to understand that the next 100 billion milestone would be achieved by combining high-value services, IP-based solutions, vertical-friendly structures, and increased stakeholder collaboration. 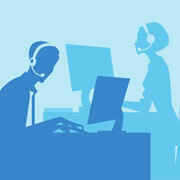 At Outsource2india, we have been providing 24/7 BPO support for several global customers over the last 15 years. Our strict adherence to deadlines, adherence to global quality control processes, and precision have made us the first choice when it comes to BPO and call center services. We hire only the best call center agents, who are not only skilled in handling customer support operations, but are also dedicated to offering the best possible BPO services. Get in touch with us for your diverse outsourcing requirements and we will be glad to assist you.